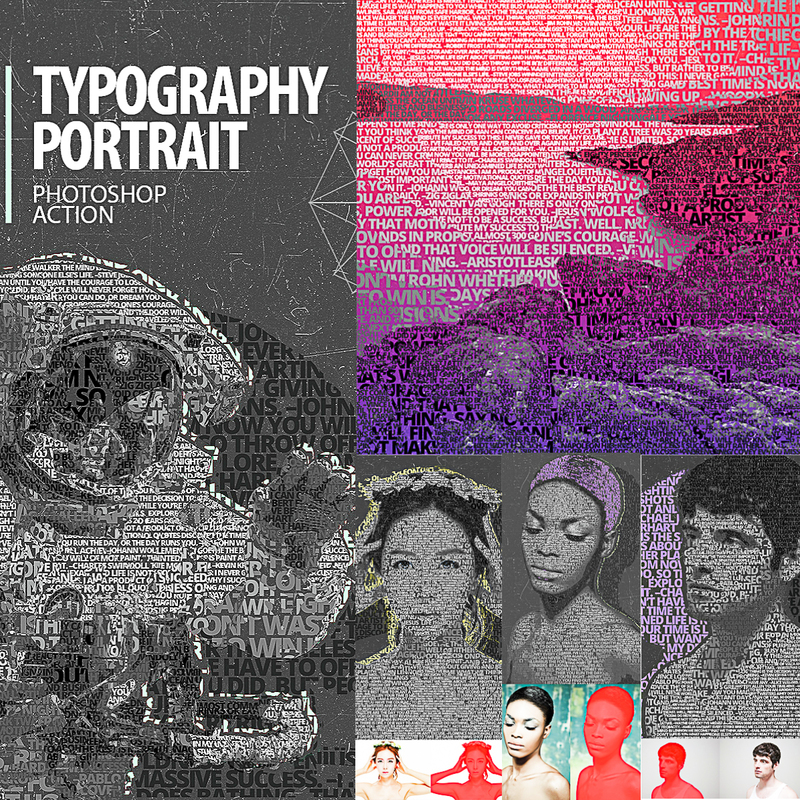 Introducing Typography Photoshop Action. Features: Works in Photoshop CS6 to CC2019 both for Windows and OS X. Ability to use custom text, fonts, and font size in any place. Also works with a full area image. You could use not precise mask. Full color customization. Well organized layers. Eight premade gradients. File format: .atn, .asl for Photoshop or other software. Tags: actions, digits, effects, font, image from text, photoshop, photoshop action, portrait, text, text effect, typography, typography portrait.